What brand containers can I use with the Horizontal Lift system? There are four major players in the container industry (BOS Container, Portable Storage Box Company, USC, and Wabash) that we have engineering agreements with, so if you tell them you will be using the Horizontal Lift as your delivery system, your containers will come to you outfitted to be used with our level lifting system. The Horizontal Lift can also be used with the 20’ ISO (steel shipping) containers. Even if you found an off brand, used container, the Horizontal Lift Company can build an attachment bracket for that container. I am sure a container exists that we cannot attach to, but so far we have not found one. How many containers should I start with? From talking to the major container manufacturers in the industry, a general consensus is 20 – 25 containers. How much do the containers cost? Contact Mark Hill: 334-451-5243 (mobile) or email mark@horizontallift.com to receive contact information for the 4 major container manufacturers so they can provide current pricing. It depends on the size and type container you will be using in your business. If you will be using the 10K Horizontal Lift system with the standard white box sized 20’ and less, or 20’ ISO (steel shipping containers – empty), you would need a 26,000 GVW (under CDL) truck. If you choose the 13K Horizontal Lift system with the standard white box sized 20’ and less or 20’ ISO (steel shipping containers – loaded), then you would need a 33,000 GVW (CDL) truck minimum. Does it matter what Make truck I use with the HL? The Make of truck you use is totally up to you. Some customers prefer a certain Make over another and that is not problem. As long as the truck meets the specs for chassis length, GVW weight class, etc. it does not matter what Make you use. We have worked with Hino, International, Ford, GMC, and Peterbilt so far with no issues. Does the truck have to be new or can I use a “used” truck? As long as the truck meets the specs for chassis length, GVW weight class, etc. it can be new or used. We have several customers that started out with a used truck with plans to upgrade to a newer truck as their business grows. The Horizontal Lift system can be moved from truck to truck, new or used. 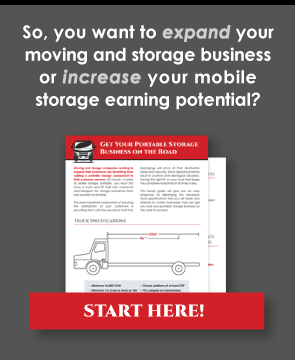 Does your company provide the truck with the lift or does the customer provide the truck? The Horizontal Lift Company is customer driven and therefore we let the customer choose the truck “Make” they want to use. If the customer has no preference and needs assistance in getting a truck, we have several dealers we work with here in Alabama and can put the customer in touch with them. How does the HL work? There are other systems on the market that have separate pieces of motorized equipment that are used to move the containers. The Horizontal Lift works off of the trucks PTO (Power Take Off) system that attaches to the truck’s transmission. Everything is powered from the truck’s engine. There are no separate pieces of motorized equipment to break down. Do I have to buy a franchise to use the HL? No, the Horizontal Lift is not a franchise or distributorship. The customer buys the Horizontal Lift and truck, containers of their choice, and starts making money. You will never, ever, pay a royalty or franchise fee. You keep the money you make. What about uneven terrain? Since the HL is a level lifting system will it work if the ground is not flat? Even though the Horizontal Lift is a level lifting delivery system, it still has an angled up and down tilt range of motion. The prototype was used in the Atlanta, GA area for over 7 years and was never faced with a terrain that was undeliverable. How long will it take me to learn how to operate the HL? The Horizontal Lift is so simple to operate, most customers can learn to operate the system in less than an hour. We offer free operating training by video library or in person if necessary. With no auxiliary components to operate, the Horizontal Lift system is the most durable, adaptable, and simple system on the market.